Twenty-three percent of all residents in Iowa live in a “child care desert” where there are three times as many children as there are open child care spots according to the Center for American Progress. This lack of child care can result in financial and personal instability as family members forgo employment to take care of their children or send their children to unlicensed child care facilities. This has a particularly heavy impact on refugee and immigrant communities. Many child care facilities lack the appropriate cultural or linguistic training to provide comfort and understanding to parents of different backgrounds. making child care options for these families even fewer. 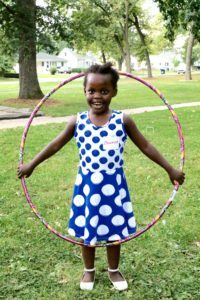 CMC remains committed to ensuring we create an inclusive community where everyone has an equal opportunity to become independent and self-sufficient and is proud to be launching a new initiative to address the lack of child care and provide career opportunities for refugees, in Cedar Rapids and Iowa City. CMC is working with local partners like Iowa Child Care Resource and Referral, HACAP’s PACES to Quality Program, and 4Cs to guide refugees and immigrants through the training and DHS approval process and establish their own in-home child care businesses. This program is modeled after a similar program organized by Lutheran Services of Iowa in Des Moines that has had great success. Hannah Miles, Refugee Child Care Program Coordinator, was hired to direct the program thanks to a federal grant from the Office of Refugee Resettlement. CMC is one of eight organizations in the nation that was selected for this funding. As the coordinating agency, CMC strives to not only increase the amount of culturally and linguistically appropriate child care, but also to help participants become more financially stable and self-sufficient by providing potential career opportunities and more accessible child care. 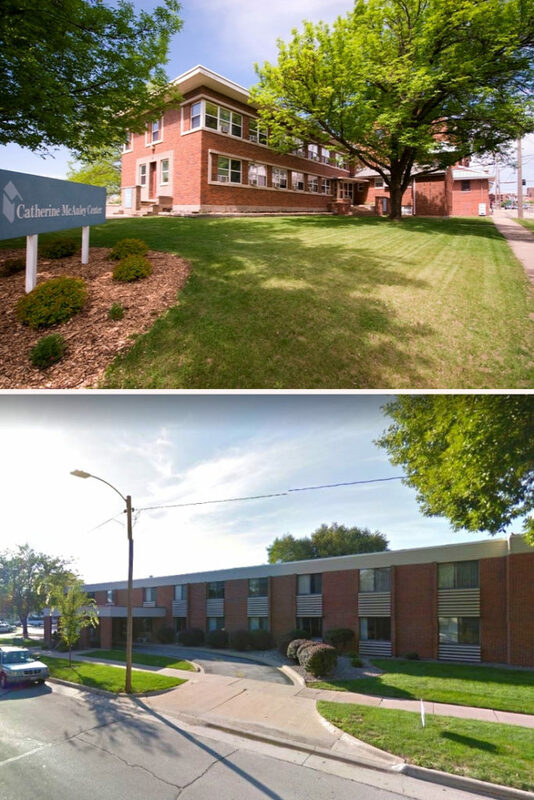 Did you read my recent letter highlighting a few students, residents and clients of the Catherine McAuley Center (CMC)? If so, you’ve read about Anna, a resident who demonstrated leadership by initiating an official AA group at CMC with the help of recovery community representatives so others in the Transitional Housing Program and throughout the community could access the benefits of a 12-Step program. Thanks to those of you who commented on Anna’s and others’ accomplishments through programming at CMC. It’s great to know that they have the support of this generous community. Through this communication, we learned much more about how 12-Step groups operate and the importance of anonymity and the twelve traditions. To be clear: While this 12-Step recovery meeting is held at CMC, it is not affiliated with the Center, nor do we want to infer that your donation will financially support this meeting. Why are these important distinctions? We want to honor the long-standing steps and traditions that have been a cornerstone of this valuable program. Tradition Six: An AA group ought never endorse, finance or lend the AA name to any facility or outside enterprise, lest problems of money, property and prestige divert us from our primary purpose (Twelve Steps & Twelve Traditions, p. 155). Tradition Seven: Every AA group ought to be fully self-supporting, declining outside contributions (Twelve Steps & Twelve Traditions, p. 160). As we do not wish to jeopardize the AA tradition of anonymity by using the name of the specific group in press, radio, and other media, we will, in the future, always use the general term, “12-Step meeting.” We are grateful for the opportunity to clarify this matter and to share with you our new awareness of these important tenants of this valuable program. The volunteers at Catherine McAuley Center play a huge role in carrying out our mission with the community. We are forever thankful for the opportunities they grant to clients and for the hard work they put in daily. 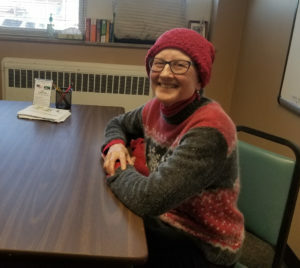 We recently spoke to new volunteer tutor, Janet O., who started volunteering after seeing an ad about volunteering at CMC in the Cedar Rapids Gazette. We spoke to Janet about her time so far at the Catherine McAuley Center. Question: So, how did your session go today? Answer: It went very well. [My student] was very appreciative, he catches on fast! Question: Did you know about Catherine McAuley Center, the education program or volunteering opportunities that we offer before you saw the ad in the Gazette? 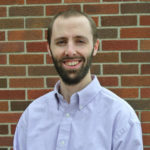 Answer: I had heard about the Center for several years and I knew they offered these programs. Question: What was it that actually drove you to volunteer here then? Answer: This is my second year in retirement and it’s winter, so I thought ‘It’s time I started volunteering.’ I’d always been interested in immigrants and international students, that sort of thing. Question: What was it about the education aspect specifically that drew you to volunteering? Answer: I am a retired teacher, so I thought I would enjoy it. Then I saw the ad in the newspaper and I thought the time was just right so it all came together! Question: So far, what you say have been the most rewarding aspects of tutoring? Answer: What I like is that [the students] are very motivated. I know the difficulties of the person I’m tutoring. This is his fourth or fifth language that he’s having to learn so he’s very motivated, he’s working hard and this is on top of the normal things that all of us have to do like work and take care of family! I empathize and I’m impressed by all of that. Question: Is there anything else you would like to share? Answer: Of course I am still pretty new at this, but I’m excited about it and as time allows and as I get more used to the program, I hope to volunteer more. To encourage other people– I think as the person tutoring you get so much out of it and it’s a good thing to do. Like Janet, you can sign up for a new tutor orientation, which is offered twice monthly! Don’t forget to vote for the Catherine McAuley Center in the Gazette Gives Back by December 31! The Violence Against Women Act (VAWA) was signed into law in 1994 in the wake of the Anita Hill hearing and with bi-partisan support. Since that point VAWA has existed as a living, breathing document, constantly changing and moving forward to address the issues of each generation. As of now VAWA continues to help communities provide invaluable services for women who survived and continue to experience violence as well as provide avenues for justice for them. VAWA is up for re-authorization every five years, at which time lawmakers convene not only to re-approve the law but to amend it so it may properly serve those it was created to protect. In 2005 and 2013 VAWA was altered to include special protections for immigrant and indigenous women, respectively, while retaining the protections already included before 2005. VAWA, the funding it provides, and the legal provisions it supports is set to expire December 21, 2018. Considering recent developments like the Bret Kavanaugh hearing and the assault and murder of women in Iowa, policies like this remain indispensable in creating safe and welcoming communities here and across the country. According to the National Network to End Domestic Violence (NNEDV) VAWA provides funding for six important programs which include transitional housing, criminal justice improvements and training , and grants that sustain programs which provide domestic violence hotlines, counseling, and shelters for women experiencing sexual and domestic violence. Without re-authorization, regular funding for these valuable programs would no longer exist, impacting their sustainability. These programs and services could end slowly as they run out of money. In a time when more and more women are coming forward, telling their stories and seeking help, a situation like this would lead to the alienation of more and more women as the protections they were previously eligible for begin to break down. The issue of violence against women, in all of its forms and incarnations is not a political one. These issues find their foundation in basic humanity, in the security of freedom, safety and justice. A place where women live in fear for their lives and their safety is not a free place. A place where women fear speaking out regarding the harm done to them because of the potential for retaliation or because they know justice will elude them is not a just place or a safe place. To live in a place where accountability, the health and safety of all people, and general decency are not valued is not something any of us desire. If VAWA isn’t reauthorized, we face the prospect of, at best, remaining with the 2013 version for another five years or at worst, losing funding for these services. Standing still while everything else moves forward is surely a movement in the wrong direction. In living by the words and actions of our namesake, Sr. Catherine McAuley, CMC works to help individuals achieve independence, confidence and self-sufficiency through education. We remain proud to see a program that began with teaching and preparing women to gain their GED expand to something that impacts over 460 individuals every year. 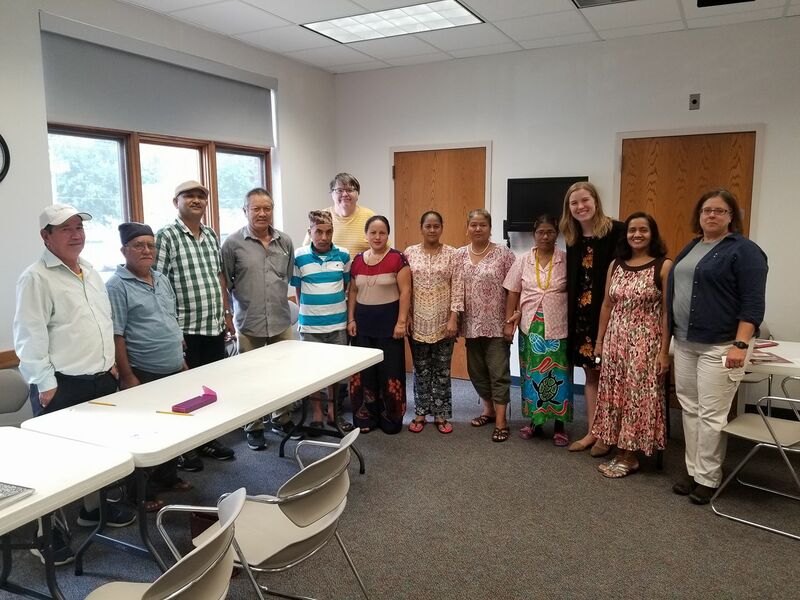 Our Adult Basic Education Program continues to strive towards our goal of making a more involved and welcoming community through education by adding new classes, including the revamped citizenship preparation course. CMC’s education program has offered citizenship exam preparation courses for years, including a former six-week class held on Saturday mornings with the opportunity to practice exam questions in one-on-one tutoring sessions throughout the week. The most recent session began in October and consists of a twenty-six week long course with classes held every Wednesday. Students may opt in to the weeks that are most relevant to them. Along with an increase in lesson content, the new format allows students to hear from guest speakers and provides field trips to different cultural and historical centers around Cedar Rapids to encourage further involvement with the community. The focus of the newly-designed Citizenship class goes beyond exam preparation and includes lessons on civics and a more comprehensive introduction to American History and how events impacted and continue to impact our country. With the help of Education Program Coordinator Mari Hunt Wassink, CMC’s education program hopes to “not only help students successfully pass the naturalization interview and test, but also to equip them to become informed and engaged U.S. citizens afterward.” Subjects like the voting process and the rights allotted to U.S. citizens have been added to the curriculum so that CMC can help contribute to an informed and active community. A course like this is invaluable to many coming from places where their health or life was in danger as it provides a path to security, normalcy and acceptance as a member of their community as well as this country. To leave one’s home for any reason is a harrowing experience filled with obstacles and uncertainty. To be able to make a new home elsewhere and become a part of a new community is a comfort and endeavor with value that is difficult to put into words. CMC works to provide a path for people to feel welcome in our community who may have not been welcome or had the same opportunities in their home. While learning about Dr. Martin Luther King Jr., one student stated, “I have a dream, too. I have a dream to be a US citizen by the 2020 election.” CMC is proud to help make these dreams come true. As you may have seen in the news last week, the Catherine McAuley Center has been making plans for our future! Today, we serve more than 460 students, double the number of students in 2011. There are nearly 100 other adult learners eagerly awaiting class during times when all other study spaces are occupied. Funding priorities for homelessness have shifted, resulting in a growing need for transitional housing for women who have experienced trauma. With the addition of new refugee and immigrant services in 2016, our basement storage and classroom space is now filled with client meeting areas and workspaces for our 9-person staff and AmeriCorps team. Additional storage must be rented off-site. We know that the lack of parking and an elevator causes difficulties for many residents, students, clients, and volunteers. We are proud to continue responding to calls to serve critical needs in our community, as the Sisters of Mercy did when they founded CMC in 1989. We’re honored that you’ve believed in this mission and share your support in so many ways. We appreciate your flexibility as we continually re-arrange our spaces to accommodate our growing services, and we have only seen private financial support and community enthusiasm grow as we adapt to meet community needs. Through all these changes, our board and committees have been working behind the scenes to quantify our need for space and evaluate more than 35 possible options for our future home, including UnityPoint’s Living Center East after learning it would be up for sale. Not only does this facility meet all of our criteria and allow us to deliver all programs under one roof, but its location at 1220 5th Avenue SE is in close proximity to other non-profit organizations and CMC’s community garden. From the very beginning of our consideration of Living Center East and through our purchase late this summer, we were pleased to honor UnityPoint’s request to allow time for the New Horizons program for physically and intellectually disabled adults to transition to other facilities over the course of three years. As of learning last week of UnityPoint’s announcement that they would instead be closing the New Horizons program in February 2019, we have yet to finalize a timeline for the move. Please know that our goal is and has been to keep you, our best supporters, informed of significant updates on this project before hearing through the local media. While renovation plans and an exact timeline have yet to be determined, we look forward to opening the doors of our future CMC home as early as Spring of 2020. We remain committed to our mission to offer hope and opportunity through educational and supportive services for women who are healing from trauma, our refugee and immigrant neighbors, and adult learners. While the core of our services will not change, we see so much potential for being more welcoming and inclusive in the delivery of our services. We hope you’ll follow along! The Catherine McAuley Center’s (CMC) Adult Basic Education Program tutored over four hundred active students last year and while we have a committed group of more than 250 volunteer tutors, more than 100 individuals remain on the wait-list to receive tutoring. Conflicts with scheduling, tutor availability and transportation all pose obstacles to a student’s participation in the program. Because of these conflicts, CMC began offering classes at off-site satellite locations. The introduction of these locations allow CMC to reach more people and better meet the needs of students who face some of the challenges listed above. 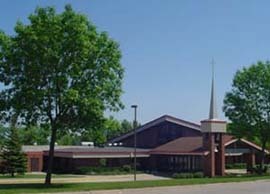 Currently, CMC has three satellite locations: the Hiawatha Public Library, St. Jude’s Catholic Church and the Seventh Day Adventist Church of Cedar Rapids. The spaces and commitment of the volunteers at these locations are invaluable to the Adult Basic Education Program and CMC. CMC would like to thank those involved and highlight the growth and commitment of these important community partners. We are extremely grateful for the things the Hiawatha public Library has been able to achieve and the work they do in collaboration with CMC. As our first satellite location, the Hiawatha public library allowed CMC to lay the groundwork for further endeavors to reach those who may have been difficult to reach before. 16 volunteers tutored in various subjects. We established weekly classes on Mondays and Wednesdays from 11am – 1pm. We offered tutoring in ESL, literacy and U.S. Citizenship exam preparation. 33 students worked to achieve their education goals. Students and tutors studied for a combined 1873 hours! We hosted students from 2 countries: Bhutan and Burundi. Seeing the need within their own parish for English tutors, St. Jude’s Catholic Church originally approached CMC with the prospect of creating a satellite location for Adult Basic Education. They had individuals within the parish with both the desire to learn English and the desire to teach it. Our partnership began in the autumn of 2016 and we look forward to its continuation! 33 people volunteered their time to tutor. We offered classes in ESL, literacy and U.S. citizenship exam preparation. Classes were held on Tuesdays from 9am – 12pm. Students and tutors studied for 750 hours! We hosted students from 7 different countries: Angola, Burkina Faso, Burundi, the Democratic Republic of Congo, Somalia, Togo and Vietnam. In January 2017, the Seventh-day Adventist Church (SDA) and the Catherine McAuley Center (CMC) launched a partnership to provide free tutoring services to adults in the community in an alternative location for students and volunteer tutors. The Catherine McAuley Center is grateful for the welcome that the Seventh-day Adventist Church has extended to each of the students, tutors, and CMC staff. The church has generously shared its facilities to help provide a safe educational space. In addition, many members have given their time and talents to volunteer as tutors. As we continue this collaboration, we look forward to offering another year of hope and opportunity together. Thank you! 14 people volunteered to teach English, literacy and citizenship. 21 adult students received free tutoring. Classes took place on Thursdays from 4pm – 7pm. We offered courses in ESL, literacy and U.S. citizenship exam preparation. Students and tutors studied for a combined 352 hours! We hosted students from 7 different countries: Burundi, the Democratic Republic of Congo, Haiti, Honduras, Peru, Rwanda and Vietnam. The collaboration between satellite locations and CMC has become a crucial resource for people striving to achieve their educational goals. Together, we continue to serve and empower students to build a better future. CMC would like to express our gratitude towards those parishioners and community members who volunteered to tutor and instill hope in individuals. CMC is always looking forward to continuing our partnership with satellite locations and being able to help those who want help! If you are interested in becoming a volunteer tutor, whether at a satellite location or at CMC’s main center, sign up for a tutor orientation at www.cmc-cr/volunteer. Each August, residents of the Catherine McAuley Center’s Transitional Housing Program, past and present, have welcomed the community to the Center’s lawn for a celebration of Women’s Equality Day, the anniversary of women gaining the right to vote in August of 1920. Samples of empowering Women’s Equality Day screen-printing designs frame a speaker from the Transitional Housing Program. Rain or shine, event guests can be seen chatting over lunch catered by a woman-owned business, picking out their favorite inspirational message to have silk-screened onto a t-shirt by the women of the Transitional Housing Program, or applauding the three local female leaders who residents selected as recipients of a SHE-ro award for their Courage, Character, and Commitment. But at the Catherine McAuley Center, Women’s Equality Day isn’t only a time to celebrate the historical accomplishments of women. It’s a time for the women we serve to exercise their own voices in our world today. Transitional Housing residents not only work toward individual goals, but also discover how women can support one another. Many of these women come to the Catherine McAuley Center having experienced trauma, but begin to discover their own resilience through weekly meetings with case managers, therapeutic and skill-building groups, and building relationships with one another through community activities. That resilience is hardly ever more evident than on Women’s Equality Day, when messages from three residents invite guests to catch a glimpse of what life has been like for women in the Transitional Housing program. 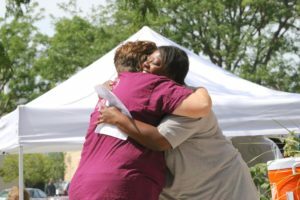 The speakers were confident as they shared about their history of trauma; surviving domestic violence, abuse, sexual assault and their struggles with addiction issues. 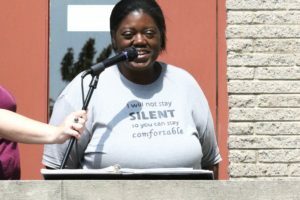 Women’s Equality Day offers Transitional Housing Program residents to share their voice with the community. May we all drown injustices with our voices. Legacy. I reflected on that word as I returned to Iowa from a visit out of state with my 100-year old grandmother. I arrived home in Iowa to learn that former Iowa governor Robert D. Ray had died. I’ve wanted to meet Governor Ray in person over the past few years and regret I never met him. I admire Governor Ray for numerous reasons, but especially for his work and advocacy for Southeast Asian refugees. The state of Iowa has a history of welcoming refugees because of Governor Ray. Back in 1975, Governor Ray and 29 other governors received letters from the Tai Dam people requesting they be resettled together in the US as refugees. The Tai Dam, a minority ethnic group from Northwest Vietnam, fled for their lives four separate times. Governor Ray alone answered this request and worked to bring hundreds of Tai Dam to Iowa, making the state of Iowa became the only US state to directly sponsor refugees. 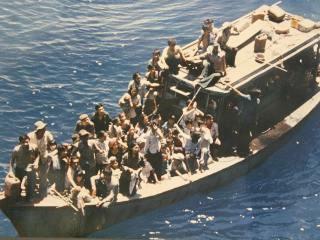 In 1979, Governor Ray offered to resettle 1500 Vietnamese “Boat People” in Iowa. Later the same year, Governor Ray visited refugee camps in Northern Cambodia where he saw children die from malnourishment and disease. To help, Governor Ray formed the Iowa SHARES program to provide food and medical aid to these people. Furthermore, Governor Ray advocated for the Refugee Act of 1980 which established our current national framework for resettling refugees. Ray’s influence moved fellow Republican legislators to support the Refugee Act. The 1980 Refugee Act may not be law today if not for Governor Ray’s support. I thank Governor Ray for his compassion and leadership to bring refugees to Iowa. 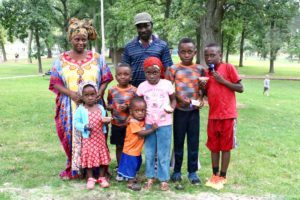 I am happy to work in the shadow left by the late Governor as work with refugees continues here in Iowa. Governor Ray’s work teaches me. I must learn from my mistakes. 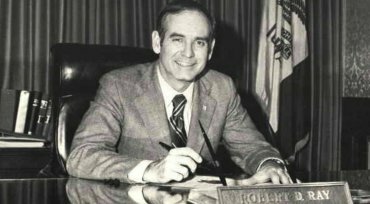 Governor Ray made some mistakes when Iowa began resettling refugees in 1975. Governor Ray and those initially involved in refugee resettlement made errors in judgement by elevating the Tai Dam over other refugee ethnic groups. 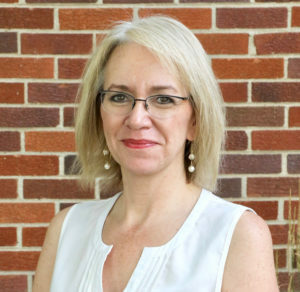 Colleen Shearer, the Iowa Job Services director whom Governor Ray put in charge of resettling refugees, accused ethnic Vietnamese refugees of committing welfare fraud. Governor Ray backed her. The state refugee program also came into conflict other volunteer agencies working with refugees. But Governor Ray and those helping refugees learned from their mistakes and made changes to those programs. They repaired frayed relationships among agencies all seeking to help refugees. Governor Ray’s memory strengthens my resolve to better help refugees here in Iowa. When confronted by needs of others less fortunate than ourselves – whether here in Iowa or around the world – may we, like Governor Ray – be compelled to help. To learn more about Governor Ray’s work with refugees, please read Matthew Walsh’s book The Good Governor: Robert Ray and the Indochinese Refugees of Iowa and a tribute to Governor Ray by Kenneth M. Quinn, World Food Prize President, former Ray staffer, and key player in the original resettlement of refugees in Iowa. You can honor the memory of Governor Ray by working for or donating to the causes Governor Ray cared about.